Just last week, while the girls were on spring break, we decided to escape the cold, gray winter that has been Buffalo, and head towards warmer weather for a few days. I've been holding out for signs of spring since March 21st, when the spring equinox supposedly started, but for all of you that live in the Northeast, you know that this particular winter has been long...so long...and the idea of "spring" is starting to feel more like an April Fool's joke than an actual reality. That said, we were very excited to get out of here last Wednesday-- we had our bags packed the night before, found the sweetest woman to watch our dog in her home, purged the refrigerator, printed our boarding passes and called an Uber at noon for our 2:15 flight. We checked our bags in, made it through security quickly and checked the flight board. While several flights had been cancelled due to high winds, ours was still "on-time"! Hooray!! Over the next few minutes we discovered that our flight had been circling above the airport and couldn't land because of the wind. As a matter of fact, several planes from different airlines were all experiencing the same trouble, with many of them already having been rerouted to Syracuse, Pittsburg, Rochester and Boston. It wasn't long before we found that our own plane was being rerouted to Syracuse and that we would have to wait for further information on our new flight time. Fast forward five hours, several packages of chips, all of our coloring books and airplane entertainment for Aubrey used up, and an expensive airport restaurant meal later, we boarded our plane, and departed at 7:15. We landed at 10 p.m., rented our car, and arrived at our hotel in Cocoa Beach at 11:45-- it certainly wasn't the night we had planned, but I was so happy to wake up to 70 degrees and sunny the following morning, that I was ok with it all. As I thought a little more about that trip, I realized there was much to be learned in that long, full of waiting, afternoon. Namely, waiting isn't always fun, and it certainly isn't what we usually plan for (well, unless you're in line at Disney, but even then you can buy a Fast Pass these days!). Waiting is often unexpected and requires patience. Waiting requires a reframing of your expectations and perspective. Waiting grows your character. "Mooooommmmm!" Aubrey said at one point. Just. Like. That. Can you hear the dramatic, high-pitched whine? "MMMOOOOOMMMMM! When ARE WE GOING TO GET OUT OF HERE? This is...BOOORRING!" Yes, my dear it is. But it is also a part of life. A part of life that, in fact, God really likes to use to help grow our character. "We glory in our sufferings (waiting, which can feel like a common form of "suffering" when you're 4, or 39 for that matter!) because we know that suffering produces perseverance; perseverance, character; and character, hope." There are many things that I have had to learn to wait to come to fruition: There are relationships I have had to wait for healing in, people I have prayed for and waited for change to take place in, there are important lessons we try to teach our kids, and then wait and hope that our instruction takes root in their hearts. There are dreams in my heart that I'm still waiting to pursue, and perhaps most importantly, because heaven is our final home, there is a waiting in our souls for all of life to be redeemed through Christ. Life, it seems, is way more about waiting than anything...for the good stuff anyway. As I thought more about our original plane, circling above the airport in a holding pattern, I thought about how life can be so much like that sometimes. We are ready to arrive at our destination, we are impatient and ready to get to where we want to be, but life often reminds us that so much is out of our control. 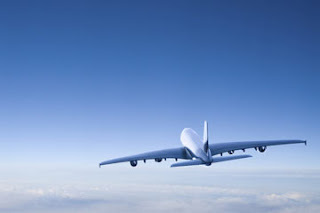 The formal definition of a 'holding pattern' is a maneuver designed to delay an aircraft already in flight while keeping it within a specified airspace. The plane may have arrived, but cannot land due to congestion, poor weather or runway availability. Ultimately, a holding pattern is not meant to frustrate, but to protect from danger. Hmmm. So, perhaps, when God has me in a season of waiting, my response should not be frustration or discouragement, but gratitude because I recognize His providence and protection. Because waiting produces perseverance, and perseverance hope. I have to remind myself, time and time again, that God is up in the control tower, with a much better view of the situation. Not only is His vision better than ours, but His omniscience allows Him to understand our past, present, and future and how it all ties together. He's not grounding you, or putting you in a holding pattern because he wants to taunt you, or challenge you. He's doing it because He loves you. As I continue to wait for this bitter winter to warm into spring, I am reminded that life is never static, it's seasonal and always changing. I am trying to embrace the seasons, see the blessings that God is providing in the midst of them, and wait with patience on God to reveal His plans, while I'm in my own holding patterns. After all, He's got us right where He wants us because He's deemed it the best thing for our lives...possibly for our protection, always for own own good.